Their 1977 Christmas Shows pulled in a massive 28 million viewers. 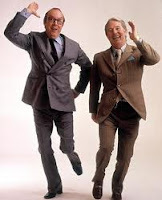 Eric Morecambe and Ernie Wise became our most celebrated comedy double act of all time. They are forever remembered for classic sketches like the 'Singing in the Rain' parody, 'The Breakfast Sketch' and who could ever forget 'Grieg's Piano Concerto'. But I thought it was worth giving the Sketch an airing, it's very funny and I'd never seen it before. 'Top of the Form' is a send up of the long-running quiz show 'University Challenge' and sees Ernie as the quiz master and Eric as one of the six contestant who just can't get any points - much to his frustration. They are, as ever, on top form in this clip. I love the way Eric keeps adjusting his wig - hilarious. I've seen Paul Daniels perform this trick on many occasions but I'd never seen this particular performance. I loved it, and I knew I had to share it. Here, Paul is seen performing 'The Chinese Linking Rings' on stage at the F.I.S.M World Championships in 1988. Paul enlists the help of a lovely young lady, called 'Min', and then the hilarity begins, and Paul demonstrates exactly why he became the UK'S most successful magical entertainer with a wonderful 12 minute routine crammed with of loads of laughter, some superb ad-libs - from both Paul and Min - and some great magic, too. Whether you're a magician or not you're going to love this clip. So, sit back and enjoy the master at work. This clip brings two of the worlds greatest performers together - Bruce Forsyth and Sammy Davis Jr. The show was the excellent but, for some reason, short lived "Bruce's Big Night Out" which aired on ITV in 1978 - I can't believe it was 34 years ago. I vividly remember watching this clip and laughing my head off as the two showmen spark off each other creating some wonderfully funny moments. Listen out for Sammy Davis Jr's ad-lib, just after a ring falls off the table (2:58) - pure genius. ...even though rating were good. They must have been mad. Catchphrase is back on our TV screens with a brand new host in the form of Stephen Mulhern. But do you remember this classic Catchphrase moment from the original series with host Roy Walker. This still makes me laugh every-time I watch it. ....she certainly didn't seem to understand the joke at the time. ...the leg rest accidentally deploys and gives the chap in the cap a nasty bash on the nose. Laurel and Hardy - Stan gets Apple stuck in his mouth. This rare clip comes from one of Stan and Ollie's first talkies - 'Hoose Gow' (1937). 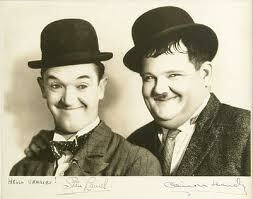 And even now after over 55 years we can still sit back and laugh; their comedy really has stood the test of time. Stan gets an apple stuck in his mouth and so the hilarity begin. Laurel and Hardy one of the funniest all time comedy double acts and this clip is a perfect example of why? This is a colorized version and the quality is great. Sit back, relax and enjoy. My Question is how did he get a whole apple into his mouth in the first place? with memories they will treasure for years to come. For more details and how to book go here! If you're going to book a Kid's Party Entertainer or Magician for your party or event then please follow these 7 steps that will help ensure you get a good, reliable and professional magical entertainer who will make your party the success it deserves to be. It doesn't matter what part of the West Midlands you are based in —Birmingham, Dudley, Worcester, Solihull, Wolverhampton, Sandwell, Stourbridge, Kidderminster, or Bromsgrove—the magician or entertainer in your area should, if he's any good, be able to offer all of the mentioned points. Getting a Recommendation: Always try and get a recommendation from family or friends. No one will recommend a magician or children's entertainer unless they were happy with the services they received and enjoyed the entertainment. Simple Checks: Make sure the magician or entertainer you're booking has all of the following: Public Liability—I have £10,000,000 worth of cover, so you can rest assured that in the unlikely event of anything going wrong, you'll be covered. Make sure they have an enhanced CRB Check. Also ensure that all of their electrical equipment is P.A.T Tested. Members of Organisations: It's also a good idea to check out whether they are members of any official societies or unions. I'm a member, and past president, in fact, of The British Magical Society as well as being a full member of Equity. Being a member of such organisations doesn't prove whether the magician or entertainer you've picked is any good but it does show there commitment to their trade. A fly-by-night magician or children's entertainer wouldn't bother paying good money to be part of these sorts of organisations. 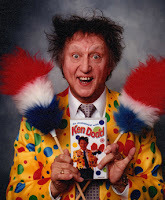 Testimonials: The Children's Entertainer or magician you're booking should have testimonials, customer comments or reviews of parties they've entertained at. Check their website for a Guestbook page, and here is were you'll find out exactly what previous customers really think of the entertainer you're thinking of booking. Facebook Pages: The Children's Entertainer or Magician that you're thinking of booking will probably have a Facebook Page. To see what's on these pages you need to click the "Like" button and then you'll see what the magician or entertainer is up to, how busy he is and it's also a another place that customers will leave comments and recommendations. It's also a great way to stay in touch with your magician or entertainer. Compare Prices and What's on Offer: When comparing different Kids Party Entertainer or Magicians who may find that the fees vary quite a bit. This could be because the higher priced entertainer is offering far more in his party package the the lower priced ones. In my Two Hour Party Package, for example... I offer a lovely Mini Disco that kids of all ages will enjoy and this includes: Speakers, music, disco lights, a bubble machine, games, prizes, pass the parcel, action songs, dancing competitions and up-to-date music like: 'Let it go' 'All About the Base' 'Happy' and 'Gangham Style'. Some entertainers turn up with a small pa system, pop some music on and call it a disco - this is not a disco in anyway, shape or form. My package also comes with a Great Comedy Magic Show, Puppets and Balloon Animals, as well. Just compare what you're getting from each entertainer or magician and you should be able to see quiet clearly who is giving value for money. Entertainer or magician make sure you are going to get a contract. This should show in detail what exactly your going to receive, how much it's going to cost, dates and times etc. If there are any discrepancies with the show, act or entertainment at least you'll have a written copy of the agenda to refer to. If the person isn't offering you a contract, be very wary. Even if you're making a last minute booking, it's still easy enough to email the contract / confirmation over - there are really know excuses for not sending a contract. 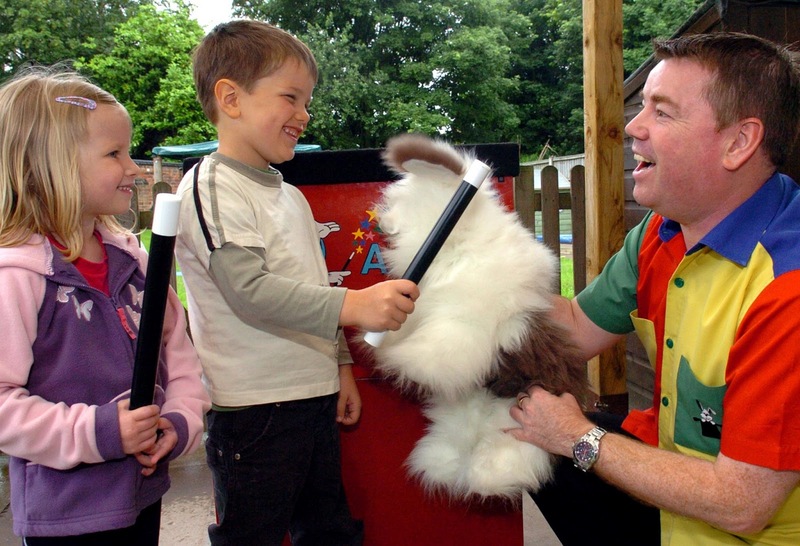 I hope these Seven Steps will have helped you to get a children's entertainer or magician who will be professional and reliable and give great value for money for your next party or event. 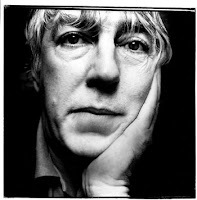 On January 9th 1995 we lost one the greatest British comedian's of all time, Peter Cook. 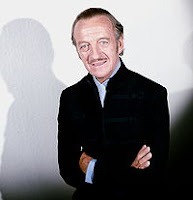 He was most famous for his partnership with Dudley Moore (Not Only... But also). But in this video, you see Cook appearing on his own, on ITV's Saturday Live as Lord Stockton an old Conservative (possibly Harold Macmillan) from the House of Lords who is being interviewed by John Bird. Bird: You're in the Autumn of your years now. Lord Stockton: I'm nearly dead, yes. Peter Cook was a one off who's humour and wit is hard to match as this clip easily proves. 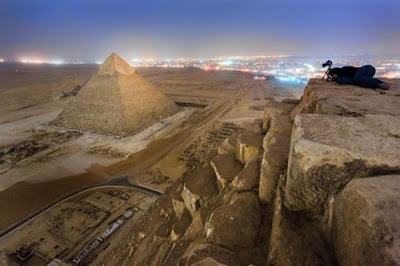 I'm off to Egypt later in the year with my family. We're going to be stopping on the popular touristy area of Sharm El Sheikh and I'm unsure as to whether we'll get a chance to see the great Pyramids. But if I did go this photo is one I certainly wouldn't of risked taking. If caught the sentence will be anywhere between 1 to 3 years... I just wouldn't have had the nerve to do it, would you? Either way the end result is very impressive. 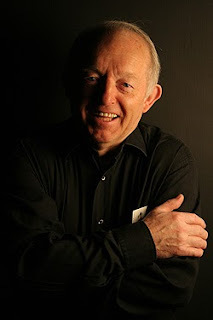 Why do Couples Book Birmingham, West Midlands & Worcestershire Wedding Magician, Andy Kirk? 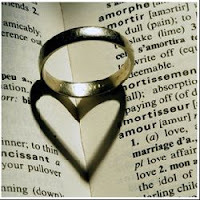 Wedding Memories: There are lots of things that will make your wedding special and memorable, and a good wedding magician should only add to these. Andy will mix and mingle with your guests, perform his mind-blowing feats of magic and mind-reading right at their finger-tips. He'll have them in fits of laughter, then leave them with gasps of amazement, and they'll be left with memories they'll treasure for years to come. Breaking the Ice: A lot of your guests may not know each other. Magical entertainment, in the form of a wedding magician, is a great way to break the ice, get your guests talking, laughing and generally create a great atmosphere. So, whether it's during the drink reception, wedding breakfast or while the photograph's are being taken a little bit of magical theater will work wonders. Never a dull moment: There will always be those inevitable lulls; typically, while the photographs are being taken and in-between the wedding reception, Wedding Breakfast and the evening do. And these are the most popular places to use Andy's services. He's amongst the best in the West Midlands, Birmingham and Worcestershire areas and he guarantees to keep things moving and create that perfect atmosphere for your big day. Speeches are not for Children: The speeches are an important part of the day but if you have children present you shouldn't be surprised if the start to very quickly get restless. Andy is a wedding magician with a perfect solution; he will whisk the children off - Pied Piper Fashion - and give them their own mini-party. This can include a disco, lights, bubble machine, games, prizes, magic show, puppets, face painting and balloon animals. And while the kids are having a ball, your guests - including those now temporarily relieved of their parental duties - can enjoy the speeches. Don't break the Bank: Wherever you hold your Wedding in the West Midlands it's going to be expensive and getting the best for the price you pay is always important. Andy is competitively priced but always aims to give as high-a-quality service as possible. Every wedding is different and as such Andy will tailor his services so they fit your needs and budget perfectly. In a Nutshell: Using cards, coins, rope, mind-reading and other everyday objects wedding magician, Andy Kirk will mesmerize, amaze and entertain your guests. He'll get them laughing, create talking points and leave them with some great magical memories. This is the most important day of your life so why not add "A Touch of Magic" and an "Extra Fizz" to your special day by booking Andy Kirk, Wedding Magician, now. .... So, keep checking back to see whats new. Did the guy in this clip actually knock him self out, or was it faked? His name is Bboy Ivan and he was appearing on America's Got Talent, and was attempting to jump over a stack of folding chairs. As he hits the trampoline the front chair of the stack pops up, Ivan hits it and it appears that he is sent crashing head first to the floor and is knocked unconscious. But, if you take a closer look at the footage Iavn appears to land on his hands, goes into roll and then kicks upwards to gain momentum, ending perpendicularly on his head, a position identical to a move known as the "Pencil Freeze", before finally landing flat out and still. My Question is: Surely, when you're knocked out your body goes limp, gravity pulls you down and not as this guy did, springing upward and going as stiff as a... well, pencil. Or am I wrong? And, remember, this guy is a professional acrobat - Ivan the Urban Action Figure - who knows how to land safely... it all looks a bit fishy to me. So was this whole stunt a set up? And if so, why? Well, America's Got Talent is a reality show, and reality shows always need a bit of controversy and drama, and at first sight this certainly looked dramatic. But why did it take so long for anyone to get over to the apparently unconscious man? Jerry Springer is heard to say: "We thought it was part of the act, but it wasn't". It's pretty clear to everyone in the audience that something's gone wrong. Once Ivan hits the floor, he remains motionless, but it still took an age for anyone to reach the unconscious (?) figure. Also note that after rushing (?) across and checking Ivan over the order is given to call the paramedics... and guess what the phone call can be clearly heard, the production team actually managed to route the phone call through the mixing desk to make sure it was all recorded - now that's what I call quick thinking. Well, I could, of course, be wrong - It may well have been a nasty accident, but either way I can tell you that Ivan regained consciousness after a few minutes and was taken to hospital as a precautionary measure. ...why not leave your opinion as a comment. 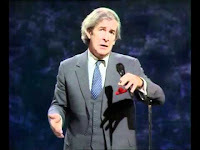 If you haven't seen Dave Allen before then you've truly missed out. 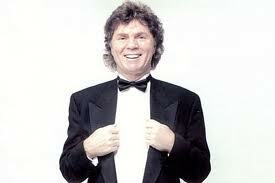 And if you have seen him you'll know what a naturally great raconteur he was. He drank, he smoked, he was an atheist, he was Irish and he was also a fixture on British Television during the Sixties, Seventies and Eighties. This routine (below) is a perfect example of how skillful he was. Here we see him talking about the English language and how differently various countries around the globe use the same words... take a look and enjoy. A drunk leaves a bar and decides to take a shortcut through a graveyard. It's raining and its dark and the drunk fails to see an open grave and falls into it. He tries to get out but with it being too deep and the rain having turned the dirt to mud, it was just too slippery to climb out. The drunk sits down in the corner defeated. A while later, another drunk leaves the same bar and decides to go through the same graveyard. He too fails to see the open grave, falls in and then tries to climb out but it's too slippery and deep. This is one trick you won't see Andy's Magic trying. The guy in this stunt goes under the name of the The Great Moodini - his real name is Michael Anthony Mooney. He is an escapologist from Metro Atlanta who performs Houdini Style escapes. Here he is attempting a fairly new escape - only performed twice before (successfully, he claims). It's the intermission at the 'Atlanta Motor Speedway's Thursday Thunder' and the idea is that 'Moodini' is shackled to a chain which is tied to a pace car. 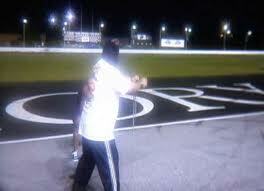 He then has 8 seconds to escape before the pace car takes off and drags him around the track. WARNING: Not suitable for those of a nervous disposition. The Two Ronnies were the highlight of Saturday night light entertainment for over sixteen years (1971 - 1987) and made our hero's Ronnie Barker and Ronnie Corbett in to TV stars and one of the most successful double acts around. But unlike their biggest rivals, Morecambe and Wise, Corbett and Barker were not an exclusive pairing. They worked together as The Ronnies but also had their own projects. Barker had a string of sitcom hits including Porridge, Going Straight, Open all Hours and Clarence. Corbett scored a massive success with the Sitcom "Sorry!" that saw him a playing forty-something single librarian, Timothy Lumsden. 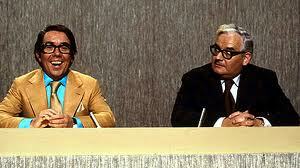 The Two Ronnies Show always featured comedy sketches in which Corbett and Barker appeared both together and separately. Corbett always had his own spot sitting in his chair, facing the camera, telling corny jokes, whereas Barker would appear in clever word-play sketches that he had, more often than not, written himself. There were also those hilarious mini-serials that featured detectives Piggy Malone and Charley Farley, and the classic "Phantom Raspberry Blower of old London Town" which was written by Ronnie Barker and Spike Milligan. And, of course, the shows finale was always some big musical spectacular that often saw our boys in drag. There are countless sketches I could have picked to show here on my blog: The classic "Four Candles" Sketch for example, but I plumped for this very clever and equally as funny parody of the quiz show "MasterMind". Ronnie Barker is Magnus Magnusson and Corbett is the Contestant who is "Answering the question before the last one". It's a fine example of why The Two Ronnies were so popular, and here it is in full. I hope you enjoy. Corbett: So, It's goodnight from me. This clip, featuring Stan Boardman, caused great controversy when it was aired live on the Des O'Connor Show in the mid-eighties. Stan's joke centres around a Polish fighter pilot who is reminiscing about one of his missions. Stan made great play of the word Fokker, and not only in relationship to the German Focke-Wolf Aroplanes. Boardman ended up being banned from making any other appearances on ITV(Thames)... for a while. By today's standards though this joke is fairly tame and far from unacceptable... I remember watching it live - I thought it was funny then and still funny now. Take a look see what you think. Abbott and Costello - Who's on First? This is the classic Abbott and Costello routine. 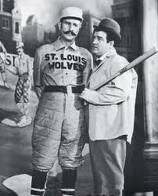 The premise is simple: Bud Abbott is trying to explain to Lou Costello which players are in his baseball team and in which positions but their names and nicknames are slightly usual, to say the least, and Costello interprets them as non-responsive answers to his questions - confusion ensues. It's an hilarious routine performed to perfection by one of the best double acts in the business who performed it thousands of times on the radio, Television, on stage, in their debut movie - "One Night in the Tropics", and even performed it several times for the then President, Franklin Roosevelt. So here it is in all its glory in HD Quality. If you haven't seen this before take a look now and I'm sure you'll agree. ...vanishing and reappearing duck turns into multiplying duck! 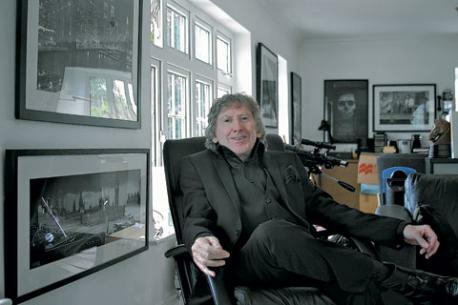 Yesterday, we heard the dreadful news that legendary author James Herbert, a giant of popular Horror-fiction, had died at the age of just 69 - it really was a shock and totally unexpected, not just to me, but to his friends, family and those at Pan MacMillian, his publishers. James hadn't been ill, he apparentley passed away, peacefully in his sleep. James Herbert has always been a great influence in my life. I started reading his books when I was just eleven years old and I've never stopped. Just a few weeks ago I finished reading his latest book "Ash"—a superb read and highly recommended. And I've just completed my collection of James Herbert's work by purchasing the out of print and hard to obtain graphic novel - "The City". My collection is complete, but sadly there will never be able to add anything new to it now. I had the amazing experience of meeting James back in September last year at a book signing event for, what turned out to be his last book "Ash" – read the full story here: "Meeting James Herbert"
He gave an interesting talk, lasting for over 90 minutes, an insight into his life and his work, he shared his thoughts and wisdom on writing and there was also an question and answers session, too. It was an incredibly enjoyable event and was followed by the book signing. There were just over 200 fans at the event all with at least one book they wanted signing. I was lucky, getting there early secured me a great seat near the front, this in turn meant I was also found myself near the front of the queue when it came to the signing began. But even with so many people wanting so many books signed, some had their arms full of Herbert classics, even so, he was incredibly generous with his time. He never rushed anyone, answered all their questions and chatted for several minutes with each and every person in that queue whilst signing their books. He started signing at around 7:30pm and didn't finish until 11:30pm. It was a superb event and one that I will never forget. In his early years he was prolific, releasing a new novel nearly every year and sold well over fifty-six million copies and which were published in 34 different languages. Over the last 12 months James had been riding high on the crest of a wave, finding massive success with his last book "Ash" and the BBC Adaptation of his novel "The Secret of Crickley Hall" - a mini-series that gained great acclaim, and his popularity was at an all-time high with a series of sell-out public events across the UK. I'm greatly saddened by the lost of such an incredible writer whose clever and intriguing mind always managed to produce stories that have entertained me and millions like me for nearly 40 years. 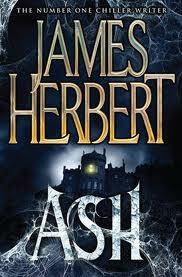 I will, of course, be re-reading some those classic titles that put James Herbert right at the top of his field, but I'm struggling with the concept that I will now never be able to read anything new from the master of horror-fiction. James Herbert is survived by his wife Eileen and his three daughters; to them I send my deepest sympathies and to James Herbert I say: "Goodbye Sir and may you rest in peace"
If you're going to fall down stairs then be as cool as you can about - just like this guy. He manages to trip, role and go head over heels before land at the bottom of the stairs on his knees. He then simply gets up and calmly walks away as though nothing has happened. I'd say this was a set, performed by someone who knows how to fall - why else would he be coming down stairs that are cordoned off at the bottom. Fake or not it's still pretty cool.